With the Litening C:62 Pro Cube had a very simple goal: to develop an affordable, state-of-the-art race bike capable of taking the fight - and you - to the head of the peloton. The combination of a C:62 carbon frame with matching CSL C:62 carbon fork is just the start. Cube added Newmen cockpit components, Shimano's Ultegra gears and brakes and a Mavic Ksyrium wheelset to give you the edge that you need. 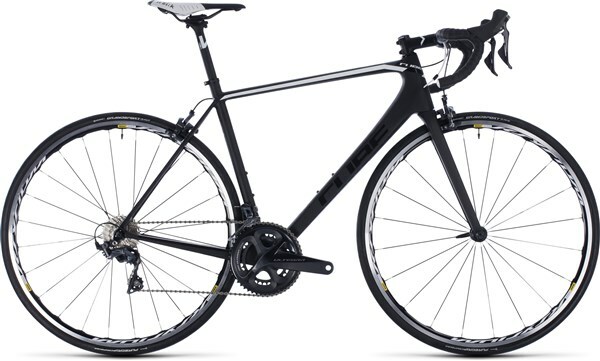 Whether you're tackling a club race, long sportive or a tough training ride, this is a bike that'll keep your competition on its toes and your personal goals in sight. The only missing component is you. The Litening C:62 Pro's elegant, lightweight chassis is pure, unadulterated carbon perfection. The use of Cube's Advanced Twin Mold technique, monocoque construction and superior carbon fibre gives Cube maximum control over the fibre lay-up - and that enables them to build a frame that's as light as it is stiff. Oversized carbon tubes in the main frame and chainstays, a tapered head tube and super stiff bottom bracket area all ensure an excellent stiffness-to-weight ratio for the best possible power transfer. Slim seat stays and a flattened top tube are designed to introduce a degree of controlled flex, adding comfort to the ride experience without sacrificing performance. Go hard, go long, go fast: it's what this bike is all about.